The Builford Classic Backpack is a great option for long and short travels. Recently, a friend went to South Korea and Japan for six weeks for a visit and conference. 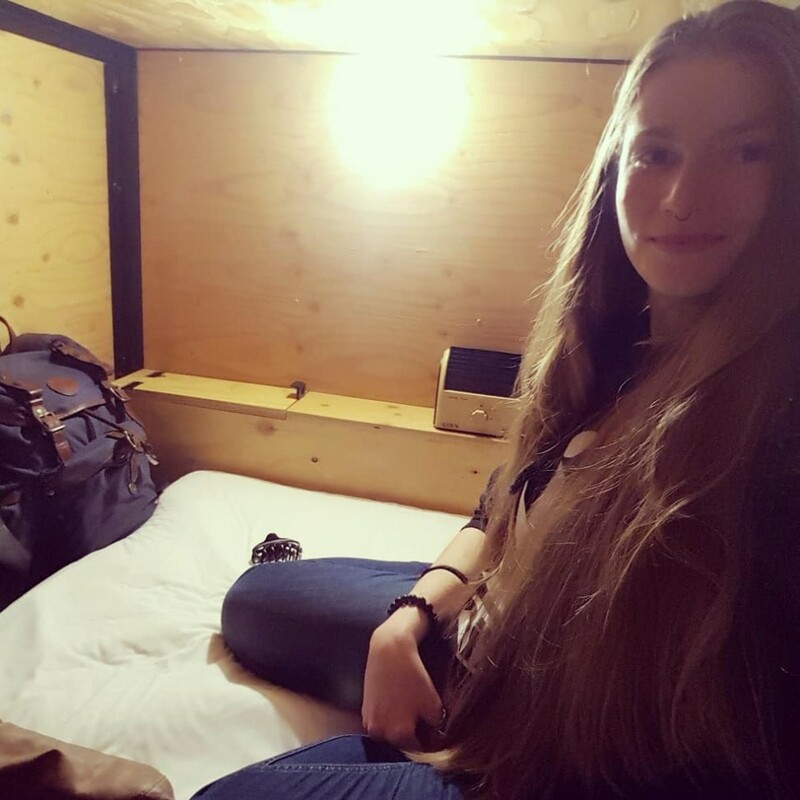 She sent along this picture in a traditional Japanese capsule hotel! Her Classic pack looks right at home in the corner! There are a few reasons to choose a Builford Classic Backpack for travels. A big one is the material itself. While waxed canvas is often the top choice for hiking and camping, people don’t often consider it for travel. It’s a shame, because waxed canvas is incredibly durable! Yes, waxed canvas is a bit heavier than nylon. But the Original Martexin Canvas here is lighter and thinner than most versions. It keeps the original waterproofing, though, and is tougher than most anything you can throw at it. The Classic Backpack, like many Builford packs, has padded shoulder straps to help bear the load. The padded back panel also helps! The Classic Backpack also has extra features for ease of use. This pack has a drawstring closure and a flap. It’s pretty secure and will keep your things safe. But if you need something in a hurry, the side zipper on the back panel gets you straight into the main compartment. The front and side pockets are large enough to carry all small items (keep your valuables on you, though, while traveling!). They open and close easily with magnetic snaps. Inside the pack, you have a padded laptop compartment, extra mesh pockets, a secret zipped pocket, and lots of space. This classic rucksack is a medium-sized pack, though it can carry a lot. It’s perfect as a carry-on for longer trips. Light packers could use it for weekend trips! If you prefer a larger size, however, there are many such rucksacks in the Builford collection. The Explorer Rucksack is a good example, or the Roll Top Safari Rucksack. Find out more and grab your own at www.builford.com! 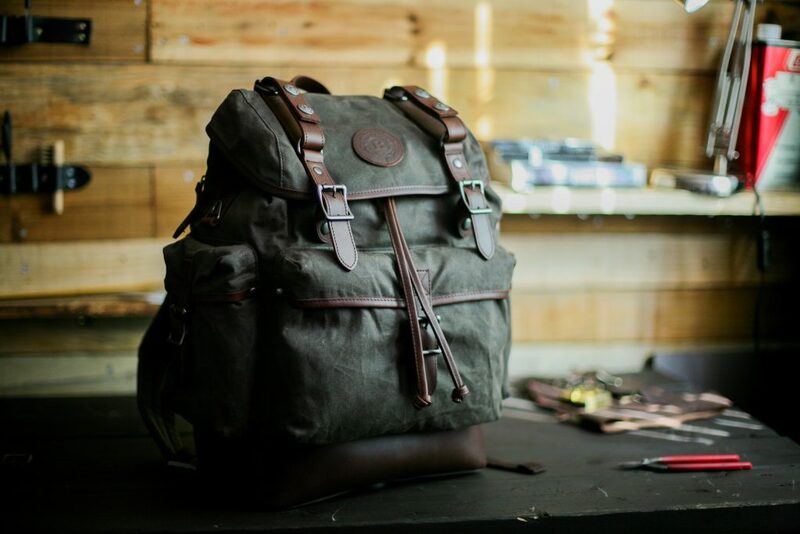 Share the post "Traveling With The Builford Classic Backpack"
Posted in Blog and tagged builford, builford waxed canvas backpacks, classic backpack, travel backpacks, vintage waxed canvas rucksacks, waxed canvas backpacks, waxed canvas rucksacks. Bookmark the permalink.